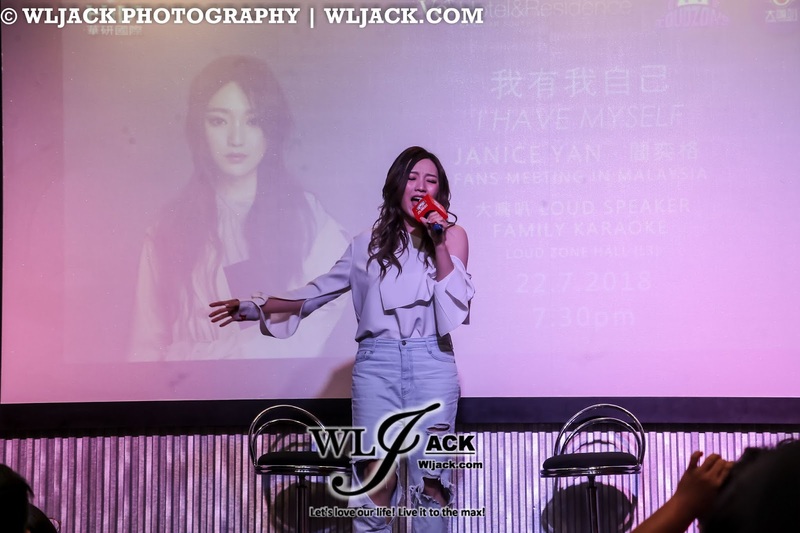 Kuala Lumpur, July 2018 – It’s been quite some time since Janice Yan has come over to Malaysia for a promo event. 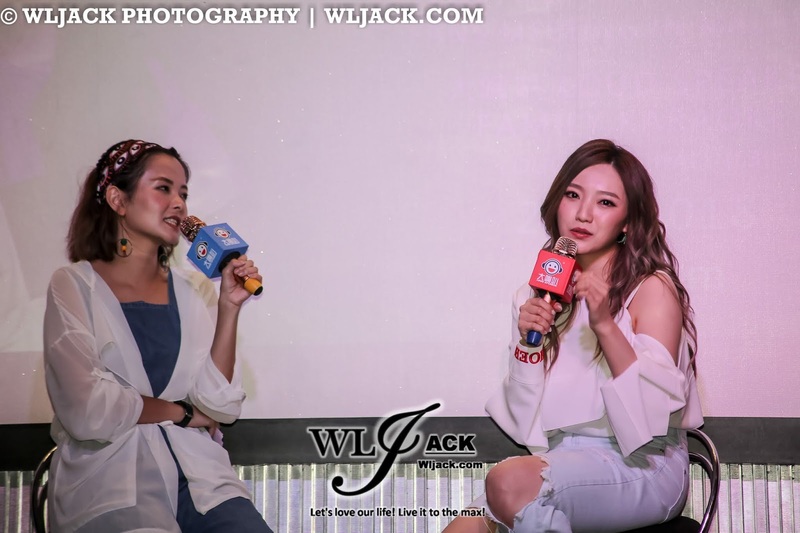 Last weekend would be a treat for the fans as she has come over to Malaysia for a few activities including Famine 30 hours, her own promotional events and finally a Fans Meeting. 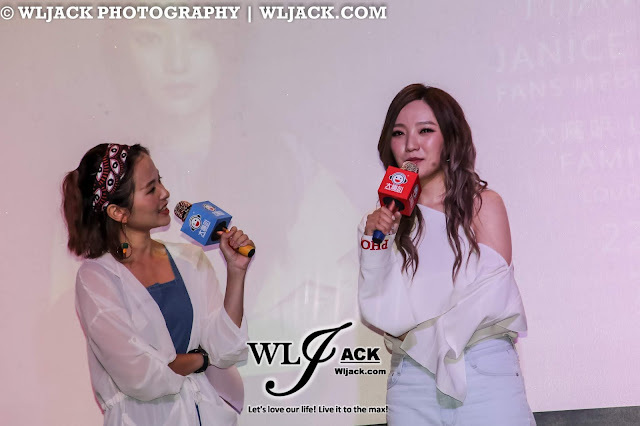 Our team from www.wljack.com has been given an opportunity to do a coverage on her fans meeting event. During the fans meeting, Janice Yan has made the appearance by performing her new songs. 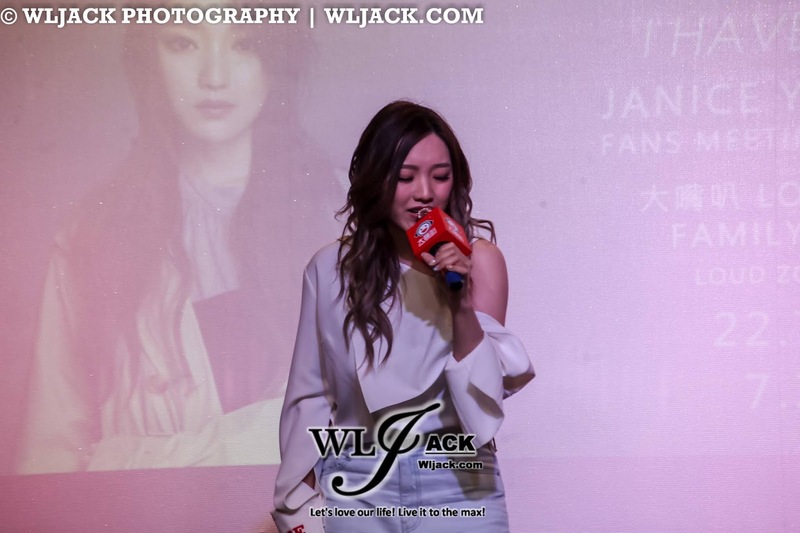 She has performed a total of 5 songs during the fans meeting including “我有我自己”, “一小片天堂”, “亦敌亦友”, “让一切随风” and “只有你还在”. 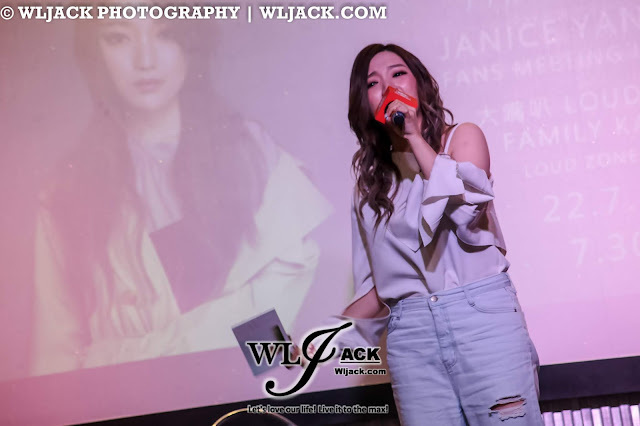 There was a moment of funny hiccup when she actually forgot the lyrics for one of her songs. 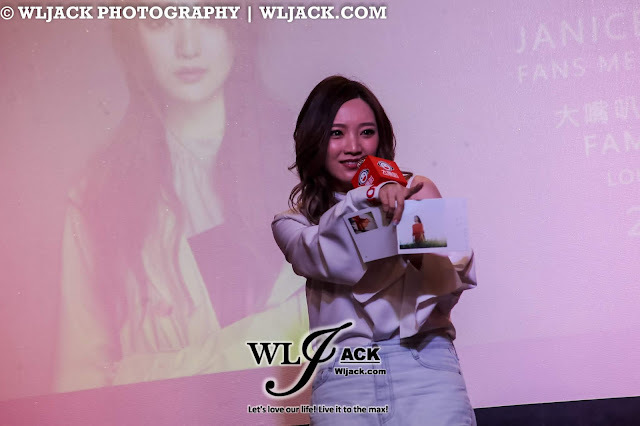 She even asked for the help from the fans and thankfully one of the fans provided her with the lyrics book. Such a funny and jovial moment! Multi-Lingual Proficiency! Janice Utilized Them In Promoting Her Album? 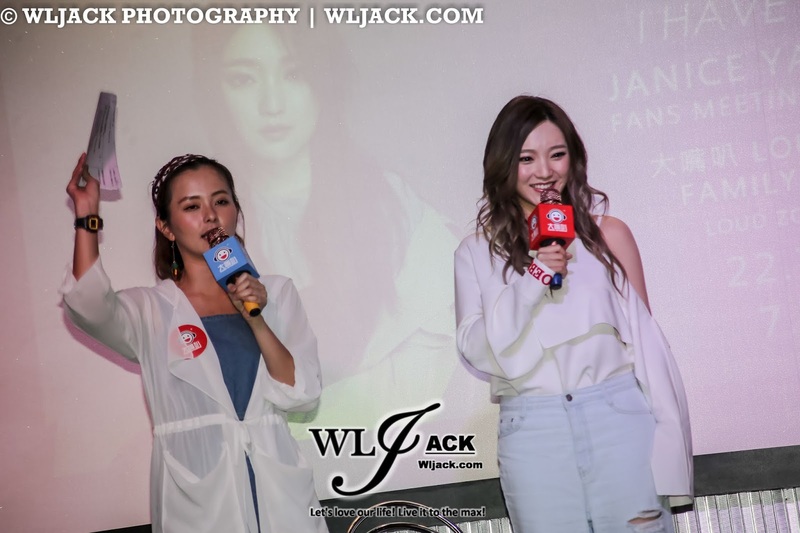 One of the other highlights during the fans meeting was the session whereby the host of the night, My FM DJ Aki asked Janice to promote her latest album in different languages such as Cantonese, English and Mandarin. Janice was very sporting and did it as per suggested. 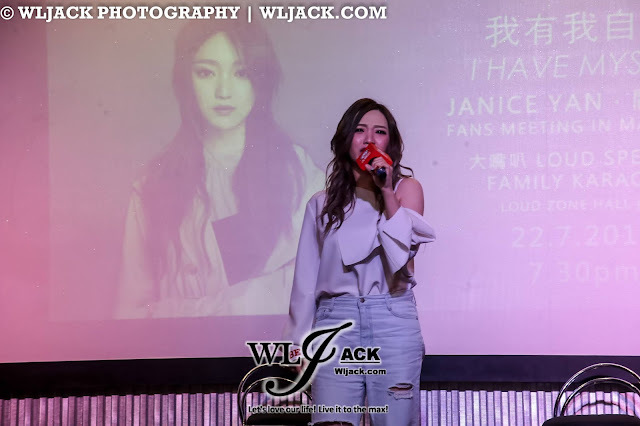 Apart from showing how good she was in all these different languages and dialects, she also demonstrated the more dramatic side of her as she tried to present in different styles. Janice also highlighted that she’s interested to take on the role of “special agents” in future acting pursue. 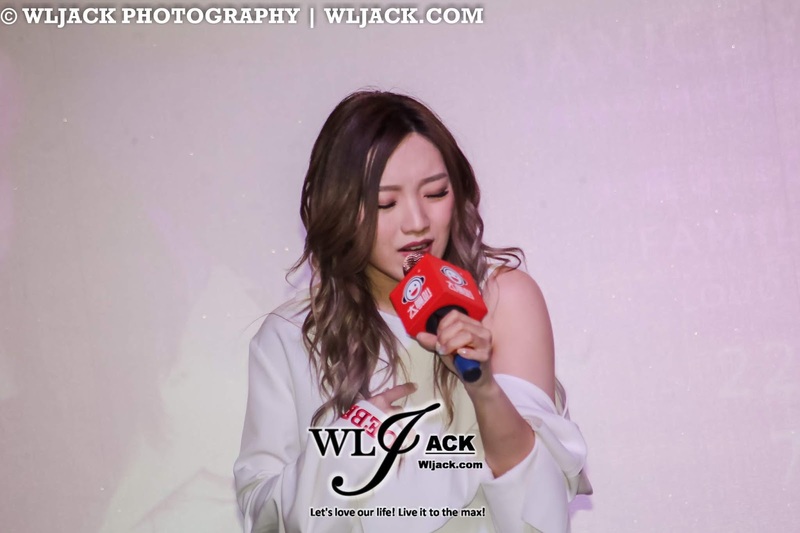 Last year, she has taken part in 风云音乐剧 performance. For her, the greatest challenge would be trying to play a role which is very soft and polite. This was a big contrast to her more “man” personality in real life. Fans’ Opportunities to Ask Questions! 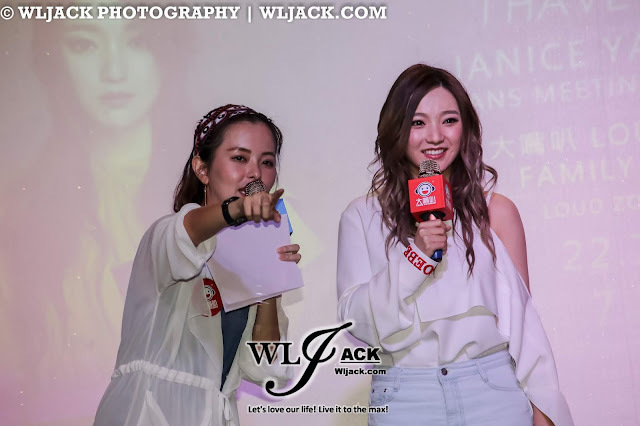 The fans meeting session also opened up an opportunity for the fans to submit their own questions for Janice to answer. The questions were then picked from a draw-lot method and she answered it accordingly. Who has influenced Janice The Most in her life? Janice answered that her father has influenced her the most in her life. He’s always supportive for her and he advised her to proceed with singing career if she’s really passionate in it. 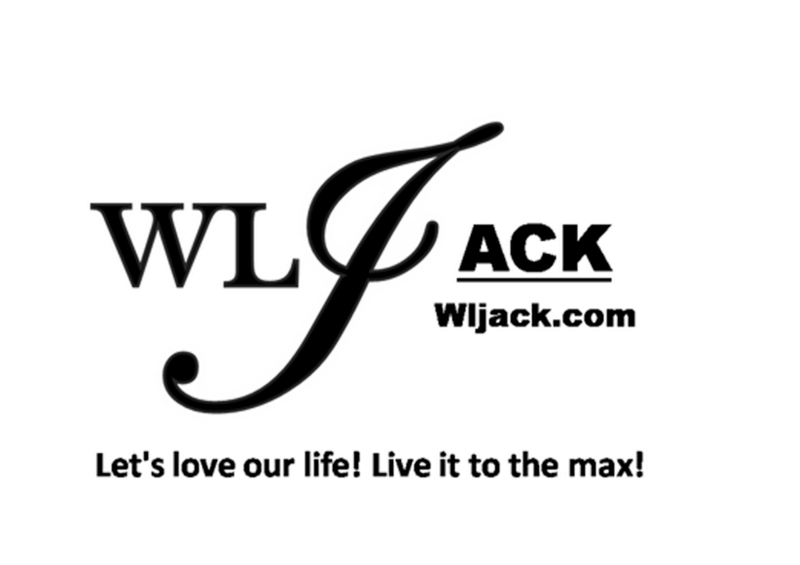 What is the animal that Janice loves the most? She mentioned butterfly and cat. Apart from singing, what is her other strength/talent? Janice admitted that she can be quite athletic. 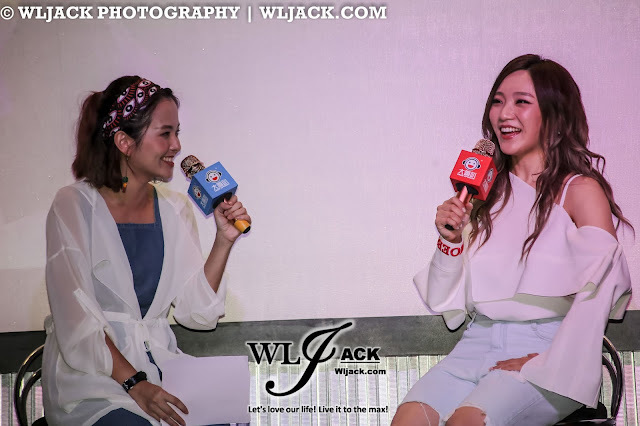 She believes her sports is her second strength after singing. What does Janice feels about her own personality? She mentioned that she has a typical horoscopic personality of an Aries. She’s disciplined and she holds strong to her principles. 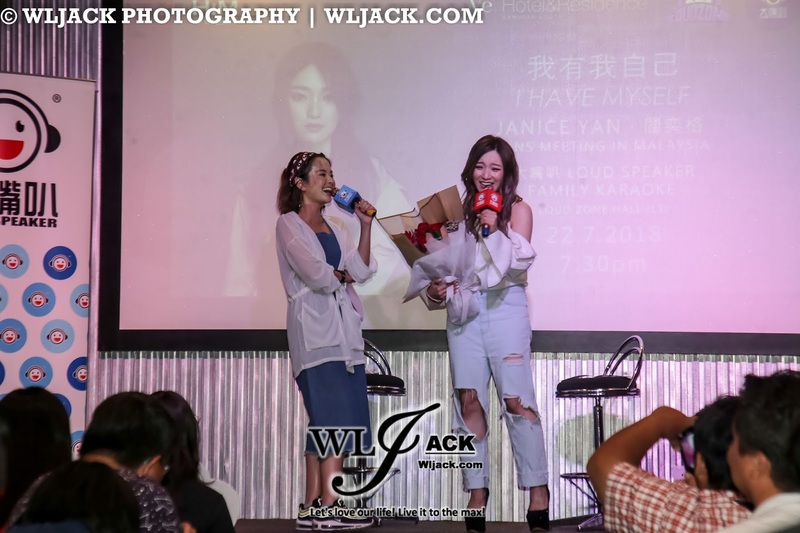 That’s all for the coverage of the Janice Yan 阎奕格 “I Have Myself 我有我自己” Fan Meeting In Malaysia. 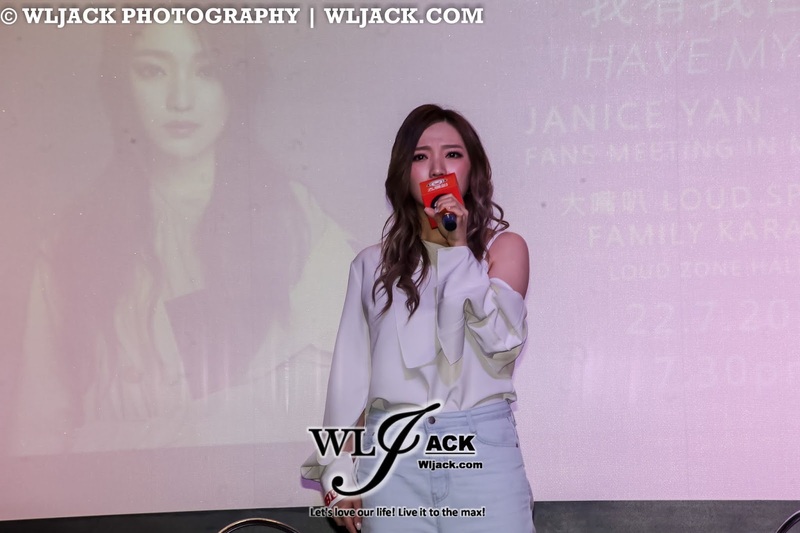 I am sure all of the fans were very grateful to be able to spend the evening gathering with Janice. 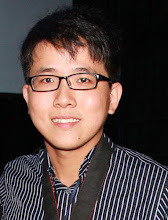 Million thanks to HIM Music for giving us the opportunities to do a coverage on the event.